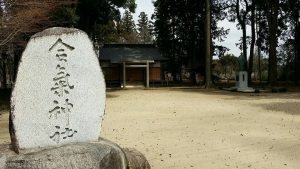 I have written this article because both Peter and Martijn have asked me to clarify the connection between Morihei Ueshiba, the founder of Aikido, and Aikido Yuishinkai. 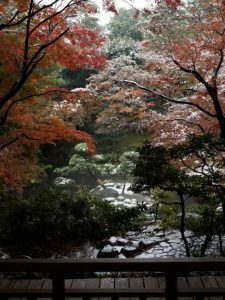 I worry that people from overseas, who have grown up in a different culture, with different customs, may not fully understand the meaning of “true Aikido,” which the founder held up as his ideal. However, because I have been asked, I will write it, and if it seems at all foreign, please just take this as an insight into the Japanese mindset. In the past, when I have been teaching overseas, I have been told things like “I’ll strike from one step back,” when practicing shomen-uchi iriminage, or “I won’t do something stupid like training with the Jo until I’m worn out!” or “it’s enough for us white people to learn the form!” It makes things difficult for me. 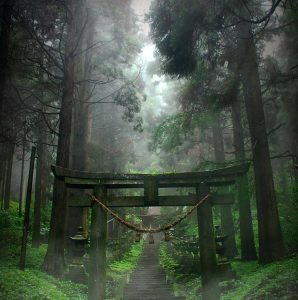 This way of life was maintained for 10,000 years during the Jomon period, but in the Yayoi period immigrants came from the continent of Asia, and the bujutsu (martial arts) of right, that is the say the bujutsu of connection, transformed into the bujutsu (martial arts) of might. 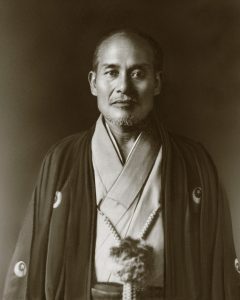 After the Second World War, the founder revived Aikido as a “martial art of connection.” The founder believed that conflict arose because of people forgetting their true state of being. In other words, what you gain through Aikido is not the ability to win fights, but the ability to transcend the world of fighting. Once a person does that, they return to their true, untroubled state of being. Today, there are many problems confronting the world. These problems arise due to the separation of body and soul. The founder passed away part-way through his journey. I believe that it is the duty of Aikido Yuishinkai members to take on the mantle of the founder’s ideals and wishes, to receive the founder’s teachings through me, who sat by his deathbed, and to pass them on so that the next generation does not forget or mistake the “true Aikido” that was created by the founder, Morihei Ueshiba. I will write a follow up post to this in the next few days………. Wei Wu Wei What’s love got to do with it?